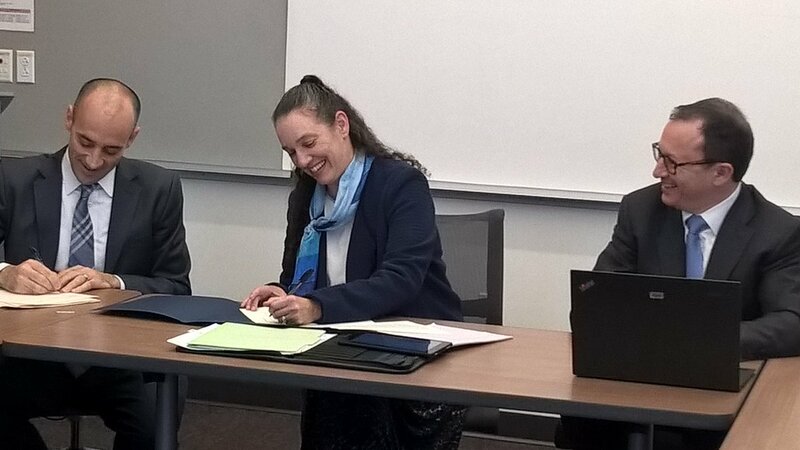 On October 18, 2016, CEI hosted a DOE and regional delegation for the signing of an MOU on grid modernization. Assistant Secretary for the Office of Electricity Delivery and Energy Reliability (OE) at the DOE Patricia Hoffman came to Seattle to recognize our state’s regional leadership in this area of work. CEI Director Dan Schwartz and Electrical Engineering Professor Daniel Kirschen participated in the conversation about our transactive campus project with WSU and PNNL, and grid cybersecurity.